At 7:22AM Friday December 1st, 2017 it was discovered that LabStats, the product powering LabSeat, is experiencing an outage. 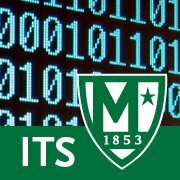 Manhattan College ITS immediately reported the issue to LabStats Support. We are awaiting an update from LabStats. This post will be updated when we receive communication from LabStats.